Curios and Dreams | Makeup and Beauty Product Reviews : Hakuna-ma-Art-ta! I was just going through my phone gallery, deleting some old clicks (apparently Mr. Phone says "memory too low" and all I want to do then is to slam it against the wall...don't judge me, that's how I make my devices work when they get stuck. Kick it, punch it... Whichever works. And it does work. Well most of the times... err..!). 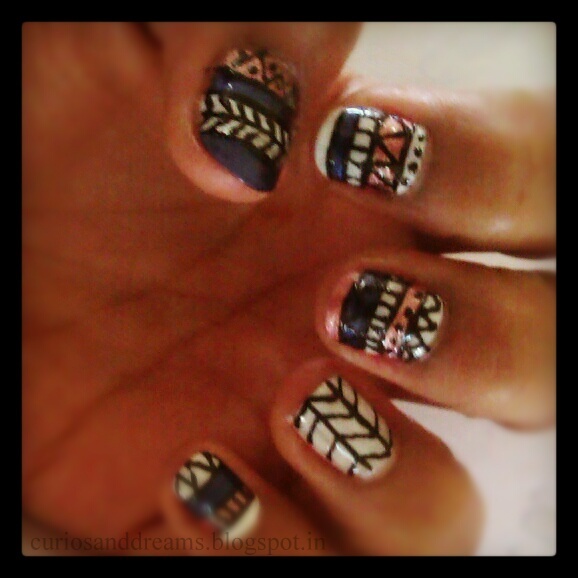 Anyway, what I found were some Tribal Nail Art designs I had tried a few months back, on my friends. This was when I was new at nail art. (I am still not very good at it. I have phases of liking it and then staying away from it completely for months). 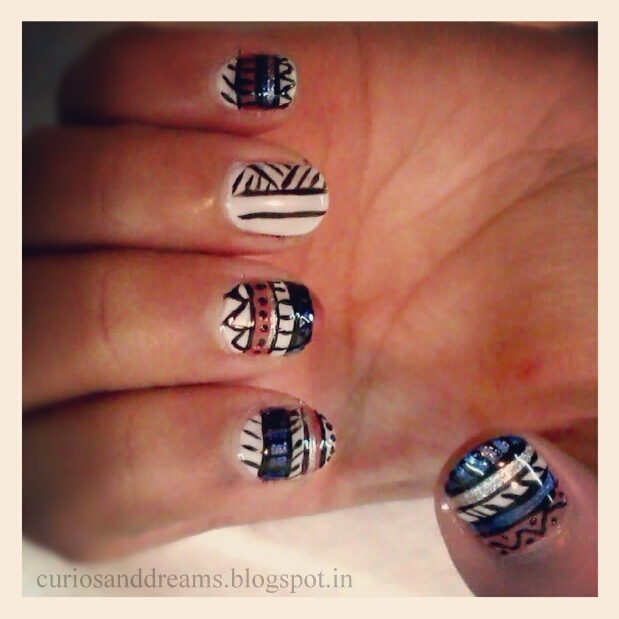 I had googled lots of designs and ultimately tried these. But, I thought they were still worth sharing. You can use whichever combination of nail paints you like. Experiment with the patterns too. Mix and match! I used black and white nail art bottles for the designs, but you can let your imagination go wild! 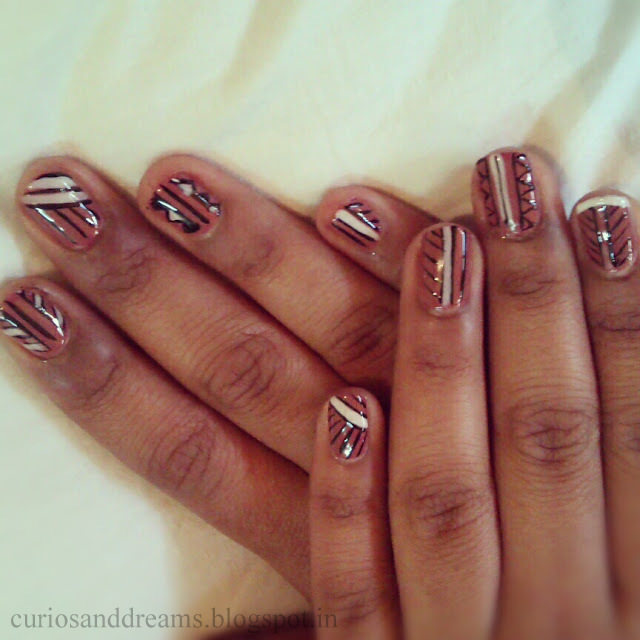 These will take some time specially the 1st pattern,but they look so pretty, even on shorter nails. Worth the 20 mins I spent! And do not forget the top coat...let everything dry properly before applying it. You don't want all your hard work smearing, do you? Its also gives a glossy and smooth finish, flattening and making all the elevations even. (P.S. I am learning how to play "Hakuna Matata" on the guitar now, which explains the title. But I'm still struggling with the song... Hopefully will get it in a few days).